Richard Neutra’s Chuey House in the Hollywood Hills is currently for sale. While it’s slated as a development opportunity I’m encouraging developers looking at this residence to take a cue from Joseph Eichler. 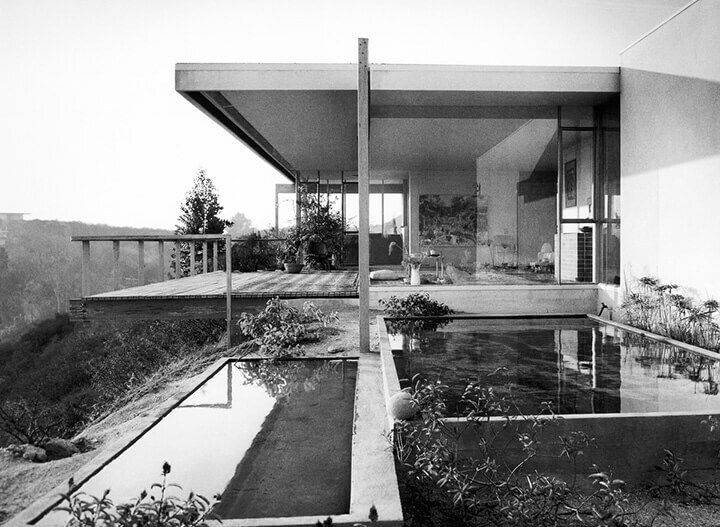 Neutra designed this glass and steel house in 1956 for Josephine Ain Chuey, a poet and former wife of Gregory Ain, and her third husband, painter Robert Chuey. 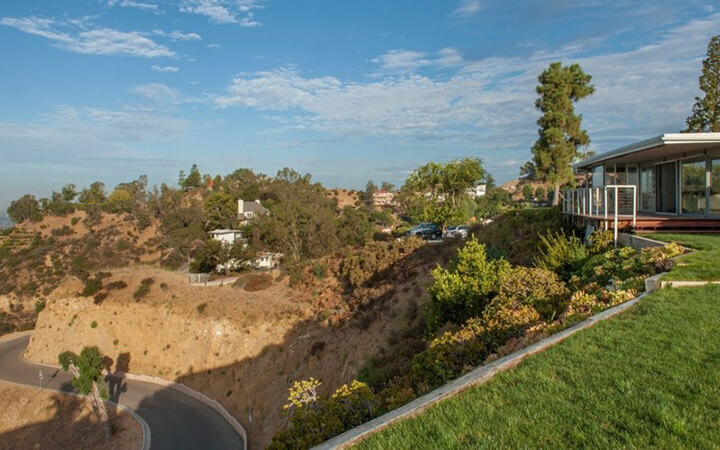 The residence is sited on two massive contiguous pieces of land high above the Doheny Estates. One lot offers approximately one acre of land and the other offers approximately 1.5 acres of land. Instead of razing an architecturally significant property to build McMansions – think about building an enclave of modern homes around the Chuey house. Cause several other glass and steel mid-century modern homes also offering unmatched panoramic views of the Los Angeles Basin that include the Hollywood Sign, Griffith Park Observatory, Downtown Los Angeles, Century City, and Santa Monica as well as expansive ocean views from Newport Beach to Pacific Palisades is just what modernists home buyers are looking for. Just think about how many letters you’ll receive, mr/mrs future developer, if you take the time to save an admired mid century home and build similarly styled homes around it.